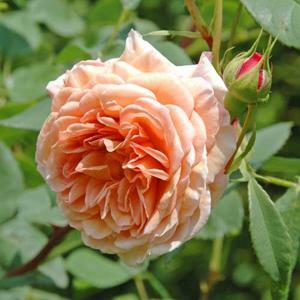 English shrub rose producing fragrant, double, apricot pink flowers from July to September. Tall, arching habit. Good disease resistance. Fertile, moist, well drained soil. Produced by David Austin Roses. 1998.